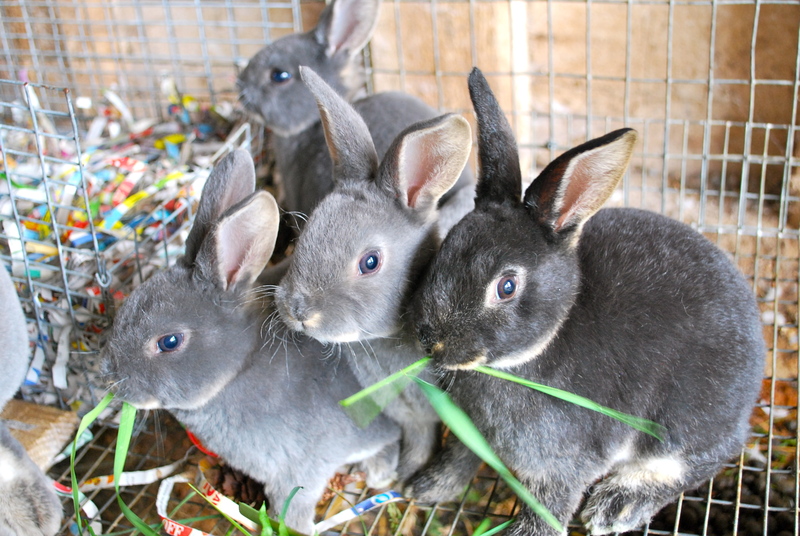 These little Standard Rex bunnies are nearly five weeks old. 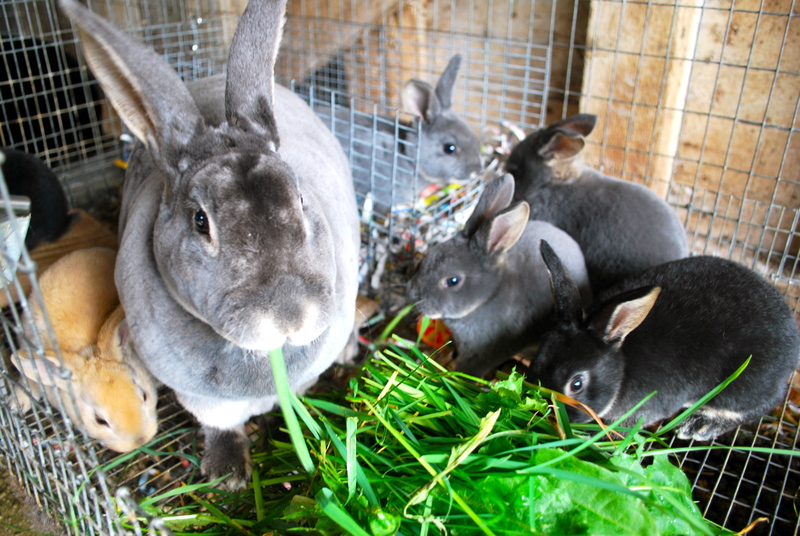 I am feeding all the rabbits a primarily fresh grass and forage diet right now as there is so much lush growth in my yard. Every day I go out with my little scythe and mow down fresh bunches of greens for them which they happily dive into. They all eat a lot less pellets this way and they all love it. Plus it’s free! I took a little look at the tort baby and it seems to be a doe. I’ll know for sure next time once I’m able to do everyone. She is the runt of the litter but still doing very well and very friendly. 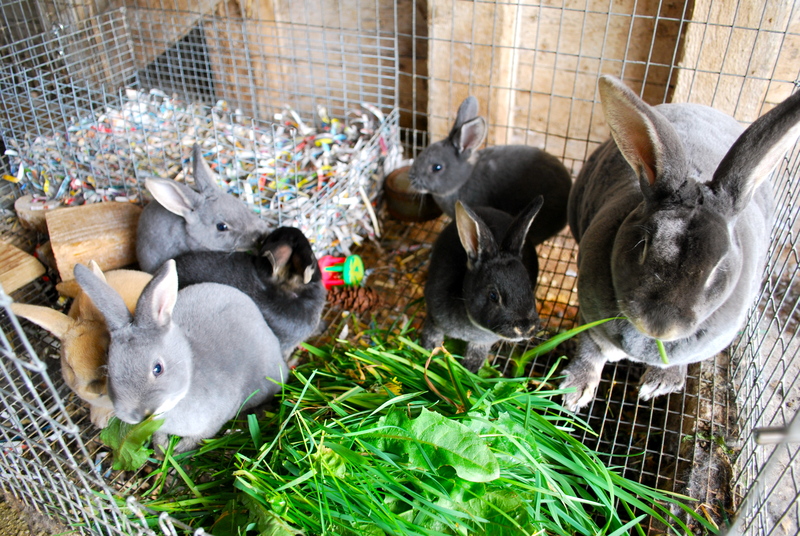 Bluefin has done a great job raising everyone and soon they’ll be out in their own tractor, on lawn mowing duty with the other kits. In other news I finally got myself a tattoo machine for doing rabbit ear numbers. I decided on the KBTatt pen which I ordered through Martin’s Cages. I’m excited to try it out on these little guys, it’s a skill I’ve been wanting to learn since I got into rabbits a couple of years ago. More info on that to come! I had almost given up on Tuna. We attempted to breed her once she hit six months old at the farm where she was born. She lived with the buck for nearly three weeks there and then… nothing. 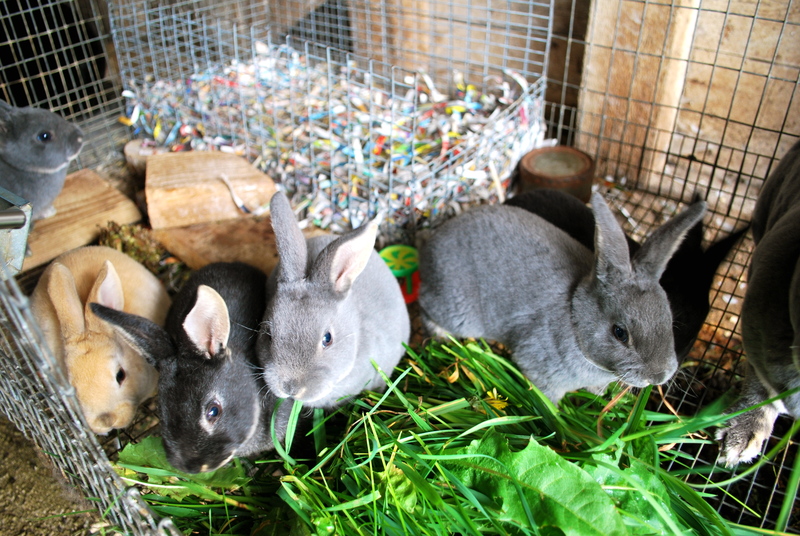 Then we acquired Timmy, who was formerly a pet rabbit and also had Black Otter coloration. Perfect! The first time we tried to breed these two, again, we got nothing. But it looks like the third time’s the charm! For a first-time mom, Tuna did a great job. By her attitude, I was almost sure that this breeding was going to be another failure. She didn’t look any bigger, and palpation seemed to show nothing happening. She kept her appetite up throughout the pregnancy and her demeanor was always the same. Sweet and lovely. In fact, she got even sweeter and more cuddly! Last night she pulled fur, and had all nine kits right where they were supposed to be, in the nest box. All alive and well. 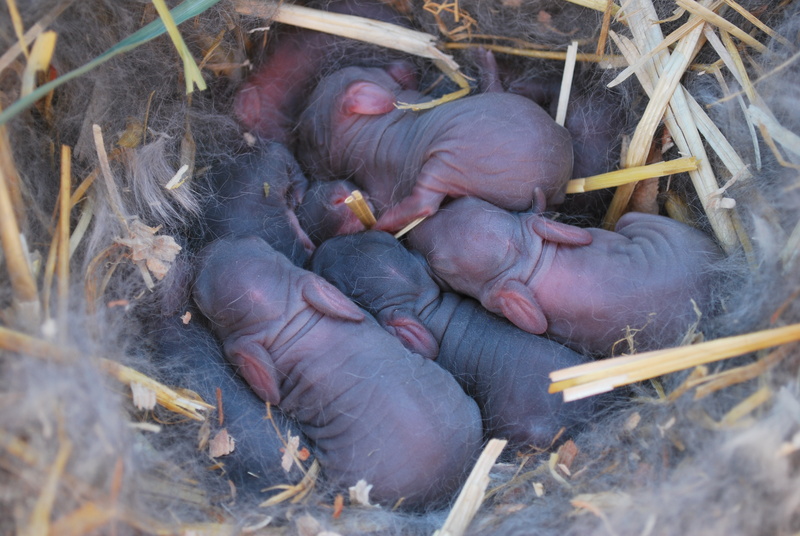 Though we were expecting Black Otter, there look to be some paler kits in the bunch so that’s very exciting. Since Timmy’s background is unknown, we’ll just have to wait and see what develops.